Am I the only one who thinks it’s high time for another Arashi movie or drama? After all, the last one they had together was SAIGO NO YAKUSOKU in 2010. And this is their 15th year so a return to the big screen after the PIKANCHI films (2002 and 2004) and KIIROI NAMIDA (2007) would be great. Or even in a drama. Though I wouldn’t really mind a documentary. This post was prompted after watching this old clip included in the PIKANCHI DVD. This is circa 2003, four years after they debuted. It was right smack in the middle of their so-called dark years. They were still finding their place in the business and I doubt if it even occurred to them that one day they will achieve what they have achieved so far. Sure, they had films and were releasing singles but they were not meeting expectations. From the clip, it’s obvious that they were not adept yet at talking in front of the cameras though they were already quite funny though awkward, with Nino’s trademark cockiness and Riida being spaced-out as usual. The repartee was still rough on the edges but they were slowly getting there. But what’s interesting is how they talked about doing a follow-up to PIKANCHI in 10 years’ time. When they first did the first PIKANCHI, Nino and Jun were only 19. By the time they released the DVD of the second PIKANCHI, the two were 21. So they surmised, in 10 years’ time, they would be 31… which is just about now. The other four were keen on doing a PIKANCHI follow-up although they differed as to when (Aiba wanted it two and a half years later) and when they asked Jun what he thought, the production banchou quipped: “I want to do another movie.” Well, they’ve done that with KIIROI NAMIDA but that was like seven years ago. Which brings me to anticipations about their 5×15 celebration. Jun did say that they don’t have any special plans for their 15th year. And while the one who posted the “confession” above has a point, I do hope that they do something for their 15th year, whether it’s grand or meaningful. Being able to reach the 15th year together and be on top of their game is a feat that should be celebrated. Fame is not forever. Every year that they survive in the cut-throat entertainment business is in fact a blessing. So by all means, celebrate it! Sure, 5×10 is memorable and iconic. I also look back to the celebrations with such pride and fondness. The three-day Kokuritsu concerts, an album (All The Best 1999-2009) breaking the 1 million mark for the first time, and their first appearance at KOUHAKU. That year already has a place in J-pop history and in every Arashi fan’s heart. That’s why there is much anticipation for what they’re going to do for their 15th year. And the speculations will go high gear as we’re now in the second quarter of the year when they traditionally announce their concert tour dates. So what’s it gonna be? How are they going to mark 5×15? 5×15 concert tour to include Asia, heck, make it a World Tour! I think a movie together would be difficult given how they are busy individually. Plus if they are going to have a concert tour, when will they actually find time for it? Even a drama would be hard. At least they don’t have 24HRTV this year. But putting together a documentary or a commemorative photobook would make it halfway done. Uncle Johnny does not even need to make a hefty budget for it. They can dig into their archives and frankly, I miss Arashi behind-the-scenes. But however way they choose to celebrate it, I have faith in Arashi. I’d like to see them revisit their old TV shows (CxDxG no Arashi, early parts of Himitsu no Arashi), do some baka stuff like Childminder Arashi, Mago Mago Arashi and the likes. 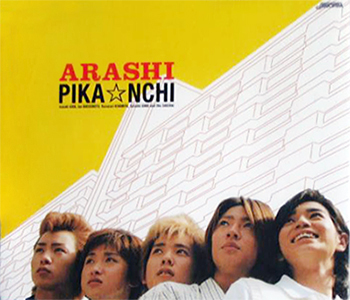 I miss really baka Arashi. I dont’ think they are ever too old to do baka stuff. I would also like to see them all the kids they met in Kodomo no Bangohan and Childminder Arashi (like what they did for Himitsu no Arashi-chan finale). yup, SAIGO NO YAKUSOKU was four years ago. it’s really high time they do a special production to mark 5×15. who knows they’re already cooking it?